Sealed with an excitable descriptive, cosmic dreamy, forward and minimix teaser by DJ and renowned anthropologist of the most odd and obscure music from across the far flung reaches of the globe (and sometimes, so out there as to sound from another dimension), Andy Votel, a case is enthusiastically made for the resurrection of the French artist, inventor and composer Bernard Szajner’s 1979 homage to Dune. 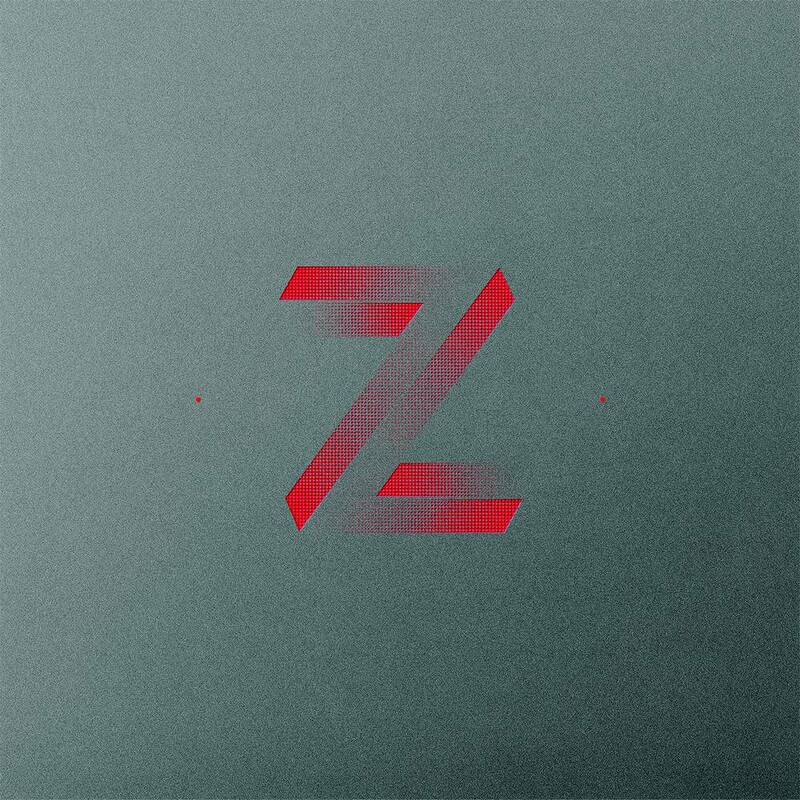 Esteemed by Votel as a ‘Gallic-magnetic conceptual synth-pop classic’, Szajner’s manipulated Oberheim sequencer led flights of fantasy was essentially a work in progress, its creator self-taught, learning on the job so-to-speak. Under the neon-flickered, Boorman-esque, mystique of ZED, Szajner’s visionary series of loops were produced in a short timeframe: reliant to a point on borrowing equipment from friends, originally requiring an Oberheim for eight days along with a Revox two-track tape recorder, and when that had to go back or had served its purpose, was replaced with and Akai four-track. Transforming his intuitive sense of exploration and experimentation further by introducing the prog-acid-rock journeyman drummer Clément Bailly and Magma’s vocalist Kluas Blasquiz to the mix, the minimalistic Krautrock style synths and vaporised sizzling sonics moved into the realms of space rock and futuristic jazz. Spending his formative years both designing and performing lights show spectaculars for The Who, Gong and the already mentioned Magma, the conceptual artists Szajner couldn’t help but absorb and channel some of their spirit, though he would also find a certain affinity with the cerebral ambient soundscapes of Brian Eno too. Remastered by the adroit specialist Rashad Becker from the original tapes (of course), Visions Of Dune conceptually occupies the space between the lunatic Chilean auteur Alejandro Jodorowsky’s epic, if messy, unrealised film version and David Lynch’s mid-eighties space operatic/esoteric soap opera effort. Of course we only have one of these soundtracks to actually go, though Jodorowsky’s surrealistic magnum opus envisioned a soundtrack that would feature bands such as Pink Floyd. Lynch chose, rather bizarrely, Toto to compose his soundtrack; compensating by offering Eno a solitary and suitably soul-searching ambient ‘Prophecy Theme’ to break up the agonized pomp rock and classicism. Szajner’s epic was sourced from Frank Herbert’s Dune trilogy of sci-fi novels: a metaphoric futuristic paradigm of Lawrence Of Arabia’s instigated Arab revolt, the Bible and Koran, Zen Buddhism, the fight for resources (oil replaced by the made-up spice mélange, though the sanctity and scarcity of water is echoed in the stories central and most important location, the desert planet of Arrakis) and the all too obligatory intrigues of competing Empires. A subtle amorphous theme is created for the stories most important characters – be it the House Atreides who spawn a messianic liberator or the miscreant maleficent led House Harkonnen -, rituals and notable plot lines, whilst a repeating desert theme permeates throughout. An almost uninterrupted soundtrack, each passage bleeding into the other, only demarcated by the track titles themselves, the main electro gliding, whooshing magnetic charged foundations signpost Tangerine Dreams own nebular voyages – especially their acid-trance elegiac Phaedra. The opening quartet of ‘Dune’, ‘Bashar’, ‘Thufir Hawat’ and ‘Sardauker’ flow from ponderous exploration via the retro/futuristic generator pulses of the Forbidden Planet powered soundscape, used to represent the foreboding Imperial Guard, to the staccato style rolling drum breaks that kick-in as we’re introduced to the calculative super brain Mentat. By the end of the first of two acts the mood alters, growing ever more ominous as the spice world of Arrakis’s monstrous sized ‘Shaî Hulud’, sand worms, prompt a squirming and looming otherworldly response. The fateful ‘Duke’ is accorded a shadowy, almost ghostly eulogy style augur of impending doom; his eventual fate alluded to by a hidden snarling beastly presence. Act two continues with wave after wave of algorithms and arpeggiator patterns, tubular chimed rings but adds menacing alien breaths (Blasquiz’s distorted and masked vocals no doubt) and Goblin style horror show prog. Tame and enervated by a flood of similar sequencer-manipulated soundtracks, both before and after Visions Of Dune, it beggars belief that Szajner’s label, Pathé Marconi/EMI, were worried that two of these tracks (the previously mentioned ‘Duke’ and ‘Spice’), were ‘too futuristic’; a crazy reaction, even for in the 70s. Initially left off the original pressing, they’re both included for the first time in this new repackaged, adorned with ‘reimagined’ artwork by Barcelona-based designer Arnau Pi, classic. Obviously resonating with the recent attention and re-examined Jodowsky project and arriving, perhaps a little too soon, before the 50th anniversary of Herbert’s novel in 2015, Visions Of Dune is certainly a more favorable soundtrack than anything that has gone on before or since, faithful to the wondrous, and sometimes trippy, mystery and evil present in the interstellar epic expansive plot without the bombast and over-indulged operatics.